Although there is no exact age for children to begin orthodontic treatment, the American Association of Orthodontists recommends visiting the orthodontist around age seven. 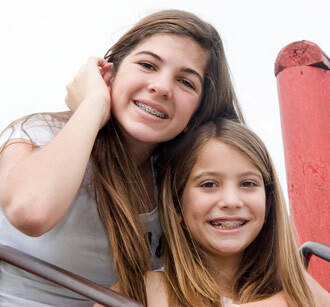 For parents, it’s not always easy to know if your son or daughter may need orthodontic treatment. Early treatment — Early treatment allows Dr. Kim to monitor the growth of the jaw and recommend further orthodontic treatment if it becomes necessary. Not everybody receives early orthodontic treatment; in some cases it may be recommended that a patient wait to receive treatment. YOU! — Your willingness to use the appliances Dr. Kim gives you plays a major role in the length of time it takes to complete your treatment. Always remember to take care of your braces and appliances; this truly will help make your treatment shorter! Orthodontic braces are a big part of life for many people your age. Braces may have had a bad reputation in the past, but today’s braces make it easy to look good and feel good! Please contact our practice to schedule your next orthodontic checkup. A beautiful, straight smile builds confidence — Orthodontic treatment can help boost your self-confidence, to give you a better quality of life and the freedom to smile without holding back!